Your trusted partner in the world of classic tours through the most untouched wilderness of Uganda, Rwanda and the rest of Eastern and Southern Africa. We are privileged not only to host you on this website, but also to provide you with unequalled hospitality on the ground whenever you will come to experience East Africa's splendid nature and culture. Swing into action with views of herds of hippo on the Kazinga Channel. Queen Elizabeth National Park is the place to go! From your lodge, enjoy spectacular scenic views of two freshwater lakes: George and Edward. Unique wildlife and birdlife has continued to attract many travelers who have fallen in love with the country’s beauty and its friendly people. Seeing some of the last remaining 700 mountain gorillas in the world is a fantastic experience. This safari takes you to the gorilla park, Bwindi to appreciate this unique dense forest and the views of the Virunga volcanoes. The season never ends for our ongoing best-seller Guaranteed Weekly Scheduled Departure – Uganda Delight. This program is based on 4x4 land cruiser transport. Please click here to ask for our special price. Uganda & Rwanda are a unique destination, which jointly offers Mountain Gorillas, besides chimpanzee, baboons, hippos, crocodile, elephants, lions, leopard, and hundreds of bird species. Gorilla Permits in Uganda are US$ 600.00 per person. Low Season (April, May & November) incentive rate for Uganda Gorilla Permit is US$ 350.00 per person. However, anytime of the year Rwanda Gorilla Permit still remains at $750.00 per person. It has just been announced by RDB on May 06th 2017 that Rwanda Gorilla Permits shall henceforth cost US$ 1,500.00 per person. We do not have any further details at the moment. We will issue further updates as more details emerge. In both countries, children under 15 years of age are not allowed on gorilla treks. We specialize in quality Safaris & Tourists Transport on the ground in Uganda & Rwanda:: Airport Meet, Greet, Assist,& Transfers, Hotel & Lodge Reservations, Lodge Accommodated Safaris, Wildlife & Bird Watching Safaris, Classic Luxury Tented Safaris, Conferencing, Community Projects Safaris, Flying Safaris, Weddings & Honeymoon Safaris, Sports and Leisure Safaris, etc. Our office in Kampala ensures you an excellent ground arrangement, attention to detail, flexibility, accuracy in quotations and fastest services. The planning of your trip, being one of the key ingredients to making it a success, is precisely our field of specialization. We assist you in selecting the best trip, time and value, and will always be delighted to discuss your special interests, questions, concerns at every stage. Click Here to see our classic safaris in Uganda and Rwanda! Click here to see some sights in Kigali, Rwanda! To be the most preferred hospitality company in the management of first-class journeys of our region, based on our professional expertise, and own modern fleet of vehicles. To satisfy and exceed our guests’ expectations in providing our unique quality services, emphasizing authentic African hospitality. To make Jewelines Safari Services, Limited the Employer of Choice by offering a dynamic and challenging working environment to foster personal and professional growth. To deliver consistent value-added services, surpassing all regular standards in Uganda’s tourism industry. At the service of God through trusted service to a human person. Click here to see photos from our safaris! 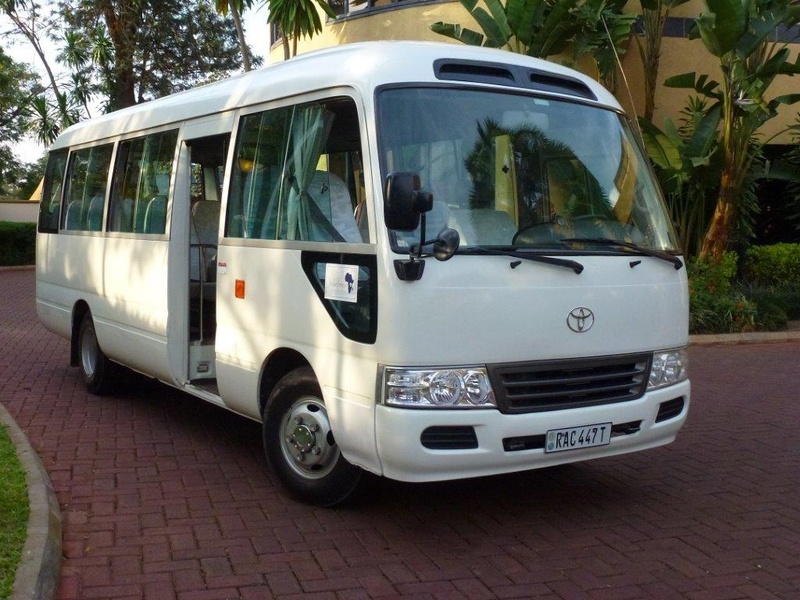 We have Minibuses, Land Cruisers, Rosa/Coaster Buses, Noah Cars and Speed Boats available for hire in Uganda and Rwanda! Click here for a view. ...classic East Africa journeys by modern means! Jewelines Safari Services - classic East Africa journeys by modern means! © Copyright Jewelines Safari Services, Limited. All Rights Reserved.